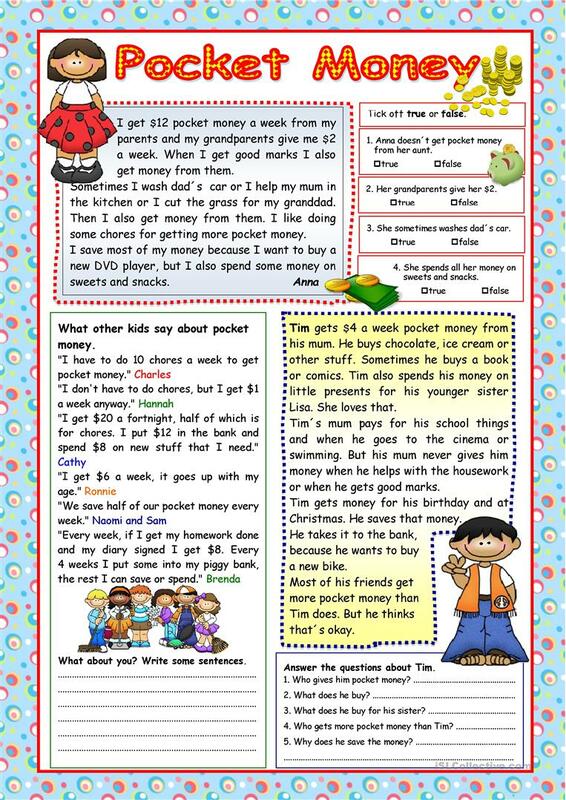 Reading comprehension for elementary level about kids and their pocket money. Comprehension exercises and key included. The above printable, downloadable handout is meant for high school students and elementary school students at Elementary (A1), Pre-intermediate (A2) and Intermediate (B1) level. 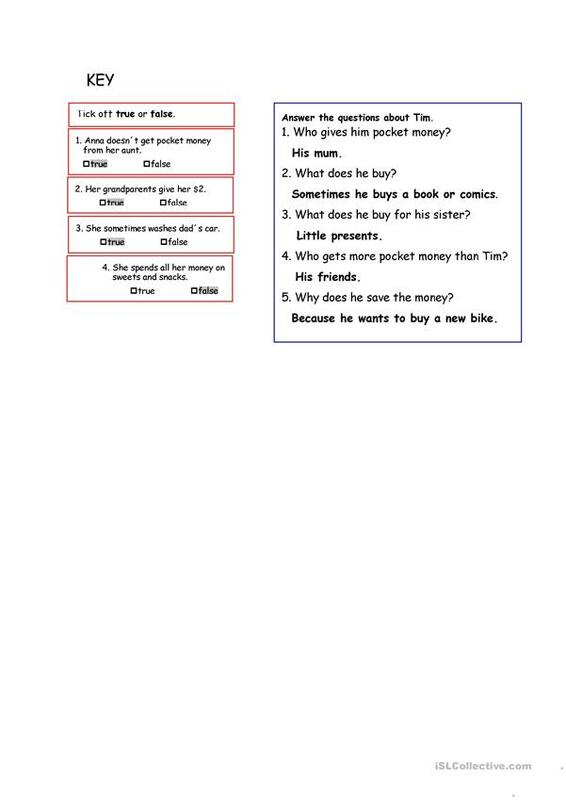 It is a useful material for practising Present simple tense in English, and is useful for working on your class' Reading skills. It is focused on the theme of Money. There is an answer key provided with the exercises.